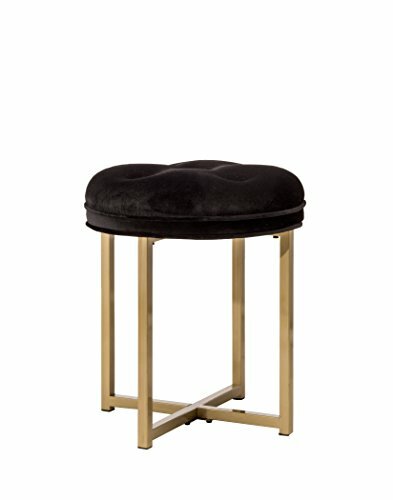 Posh meets plush in the mazurka backless Vanity stool from Hillsdale furniture. Gold finish heavy duty tubular steel marries Black velvet to create the perfect blend of form, function, and fashion. A luxurious addition to any bathroom or bedroom, this Vanity seat is evocative of the Victorian era with a modern Hollywood twist. The classic combination of Black and gold complements Regency, glam, and chic decor. If you have any questions about this product by Hillsdale, contact us by completing and submitting the form below. If you are looking for a specif part number, please include it with your message.